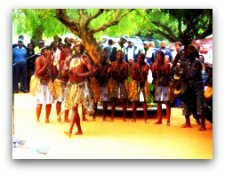 Botswana culture Day 2011 was held on Saturday 21st May in Mahalapye within the Central District. 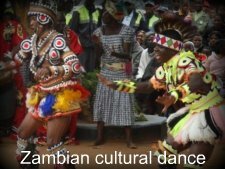 The stand out event was the explosive cultural dance display by a group from Zambia. The cultural day was officiated by Botswana's Vice President Lieutenant Mompati Merafhe. The activities started at 0800 hours with a parade of the local cultural attire and artifacts. It culminated at 1500hrs with the public treated to local cuisine prepared at the Kgotla, or village court. The theme for the year's culture day was 'Preserving Culture is your business'. 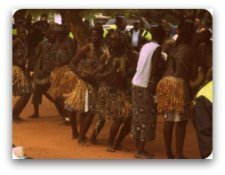 A leading elder from Mahalapye, Mr Keikitse Dipatane, briefly narrated the history and composition of the Bamangwato tribe. 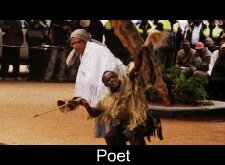 The Hambukushu ethnic group from north west Botswana wowed the spectators at the Kgotla with unusual dance moves which bore little resemblance to that of the Tswana or even Kalanga ethnic dance. 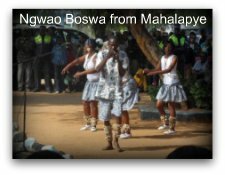 A musical group from Mahalapye also displayed local talent when it shared its modernized traditional tunes. A praise poet shared his wisdom on the need to preserve culture. During culture commemoration days Botswana invites another country to participate in the events, as a way of encouraging cultural exchange. 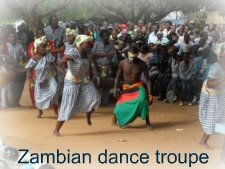 For this year Zambian culture added an extra flavour in the commemorative activities when a dance troupe from Zambia, Botswana's neighbour to the north, took part. 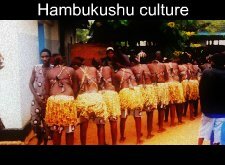 The troupe's dance style and routines were strongly similar to that of the Hambukushu. The latter were seen watching keenly from afar marveling at the beauty displayed by the visitors. All in all, it was a day of true celebration, with two spirited nations determined to stake a case for the preservation of culture. Soon after the formal proceedings, there was a tour of stalls with various cultural artifacts on display. The dignitaries who included the Vice President, Minister of Youth, Sport and Culture Mr Shaw Kgathi, Zambian Ambassador and leading elders from both Mahalapye and the central district had an opportunity to view the arts and crafts, local clothing and culture-based institution publications.